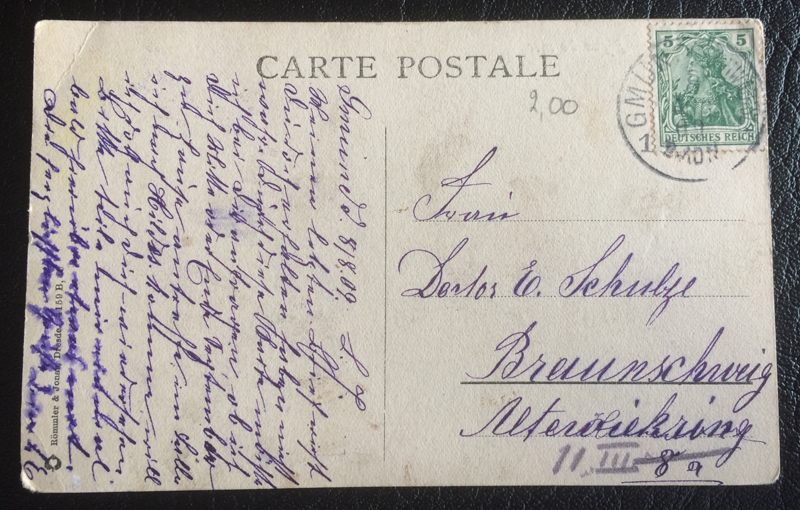 A postcard from Ostende to Braunschweig, Germany. Interesting – the stamp is from Germany. 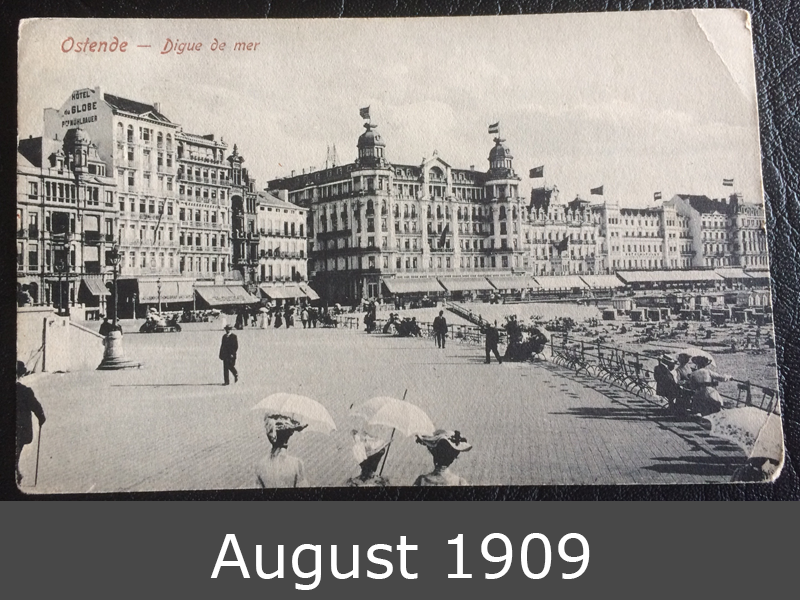 You can see the nice beach promenade of Ostende in Belgium in year 1909. Old hotels, well-dressed holidaymakers, the beach with “Strandkörben”. A wonderful view in the year 1909.